A place to show and share the pieces of happiness that come into my mailbox. 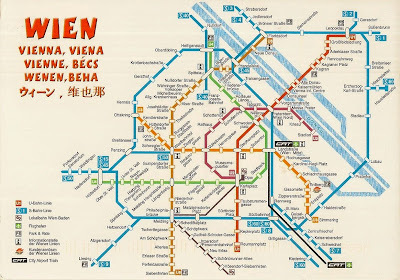 Claudia writes to me saying she visits Vienna a few times a year. 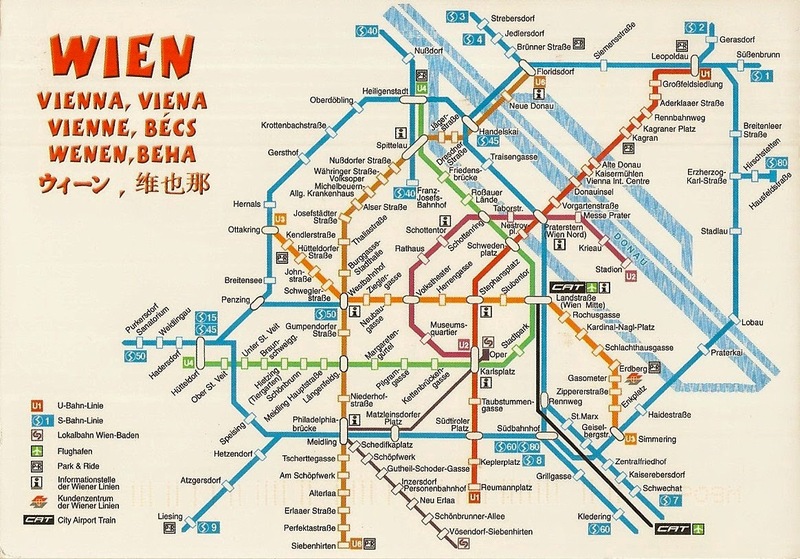 While she sent this great map of the subway system or U-Bahn as it is known, she prefers the trams when she is there. 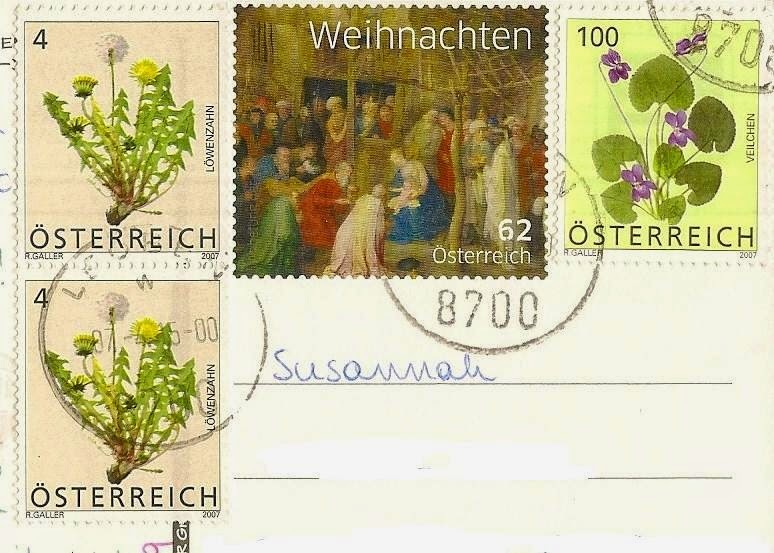 Great map card and beautiful stamps too.